Welcome to Day 12 of the 31 Days 31 Printables series. If you’re just joining us, I’m spending the whole month of October sharing at least one free printable each day. 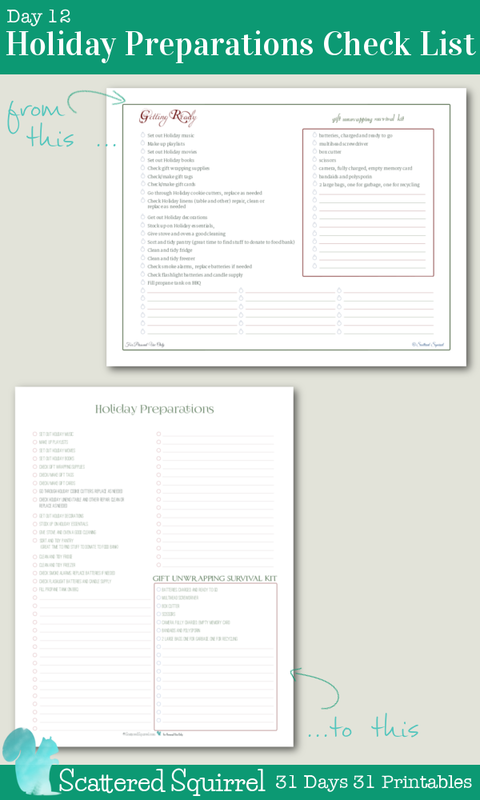 Right now I’m working on updating my holiday planner printables, and I’m loving how they are turning out. The holiday season is going to be upon us before I’m ready for it, at least it feels that way every year. Thanksgiving has now passed (for us Canadians anyway) and Halloween is coming up quick, and then next thing I know I’ll blink and it’s Christmas. 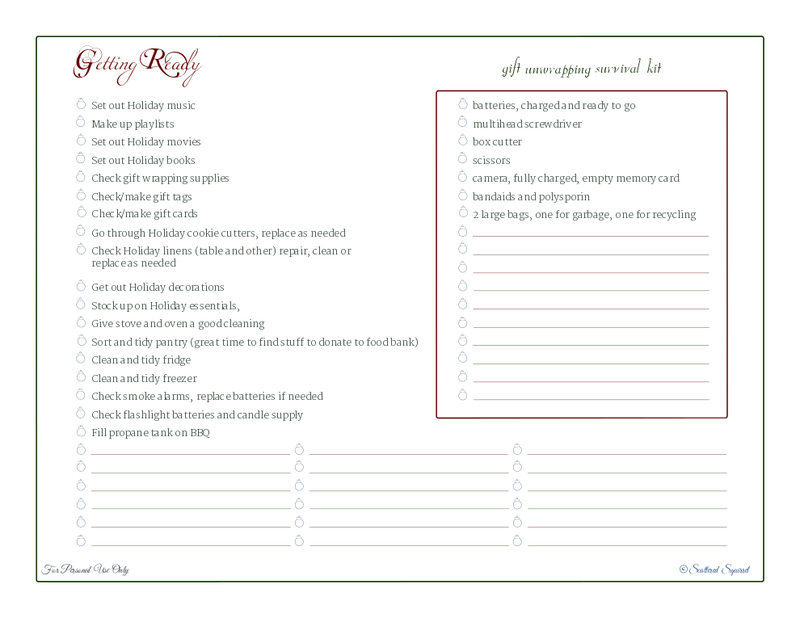 Thankfully I have a handy little printable, my Holiday Preparations Check List, to help keep me on track so our holiday season runs smoothly. I’ve used this printable faithfully every year since I made it. It takes some of the thinking and planning stress away from the holidays. It’s nice to have all my typical yearly holiday to-dos in one handy little place. Like all my other holiday planner printables, it was in need of a little updating. This time I changed a little more than just the fonts and colours. While I loved using this checklist, the landscape layout has always bugged me, especially with the three columns at the bottom there, it just didn’t feel like a good use of space. So, I flipped it around, shuffled things around a little and I’m really happy with the end result. 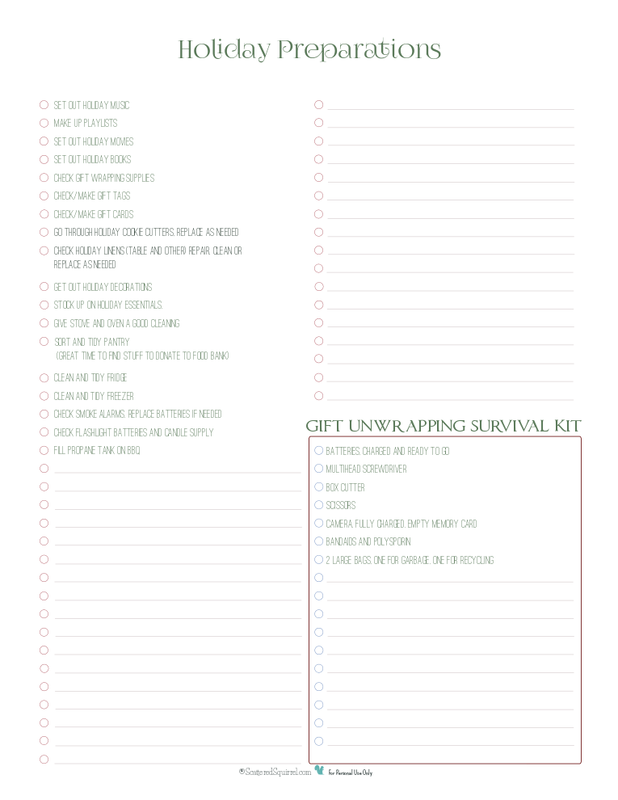 I kept the lists the same, even the ‘Gift Unwrapping Survival Kit’ part. Christmas morning go much more smoothly since I started putting together a survival kit each year. No more running for the screw driver, or the scissors, or the extra batteries, now I have them all ready well ahead of time. For a simple little printable, this one sure does help keep me sane during the holidays. 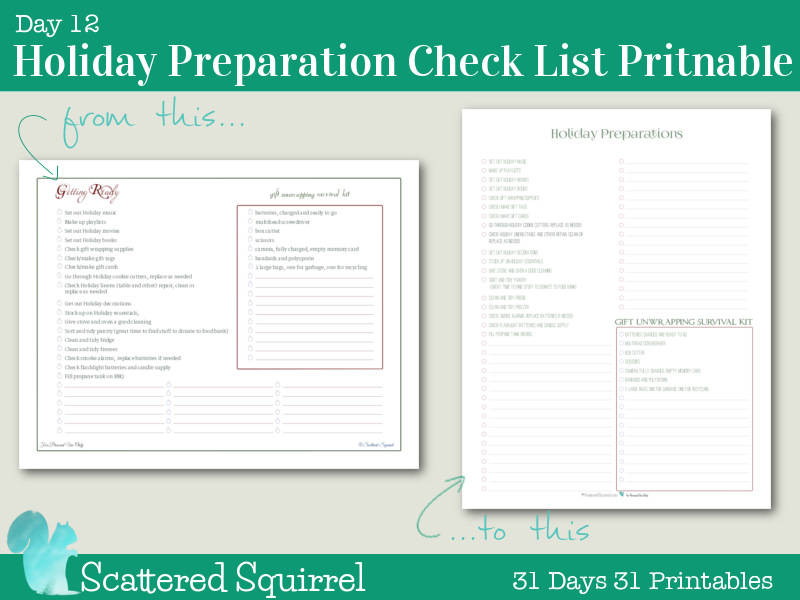 Do you like to have a standard to do list to help you with your holiday preparations?